The electronic cartography market forecast report offers a complete analysis of the market across the forecast period of seven years from 2014 to 2020. It provides an analysis of the factors that drive the market, restrain growth, and the challenges faced by the industry. The major factor driving the electronic cartography market is the changing nature of navigation. However, the high development cost of electronic chart displays and their complexity restrains the growth of the market. The report discusses the key industry, market, and technology trends that influence the electronic cartography market. Wherein, huge investments in developing ECDIS (Electronic Chart Display and Information Systems) are part of recent industry trends for the emerging electronic cartographic marine market. The report tracks, analyzes, and lays out the market size of major spenders in regions such as North America, Europe, the Middle East, APAC, Africa, and South America, and provide the market share by the commercial and defense markets. It provides an insight into regional trends on spending, analyzes market size by region, and also provides the data on the spending pattern by sub-sector. The leading competitors in the electronic cartographic marine market include Jeppesen (U.S.), Northrop Grumman (U.S.), Transas (Russia), Furuno (Japan) and Raytheon Anschutz (Germany). The general overview of these companies, their financial position, key products, and market share, are discussed in the report. 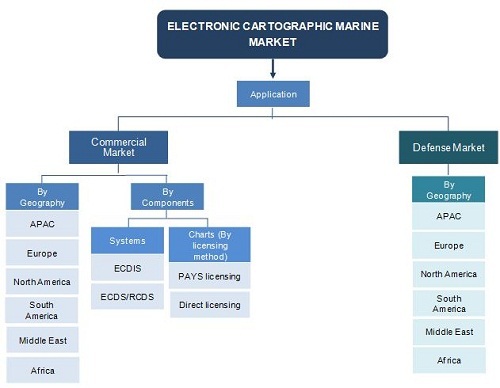 The report highlights the revenue analysis of the major technologies of electronic cartographic market with respect to countries such as the U.S., the U.K., Russia, Germany, France, Israel, China, India, Japan, Italy, Turkey, Brazil, and Mexico. The report also offers the application wise market size analysis for these countries. The electronic cartographic marine market will be dominated by ECDIS (Electronic Chart Display and Navigation Systems) by 2020. The major markets will be Russia, China, India, North Korea, and Israel. The electronic cartography marine market is categorized on the basis of application, component, and geography. 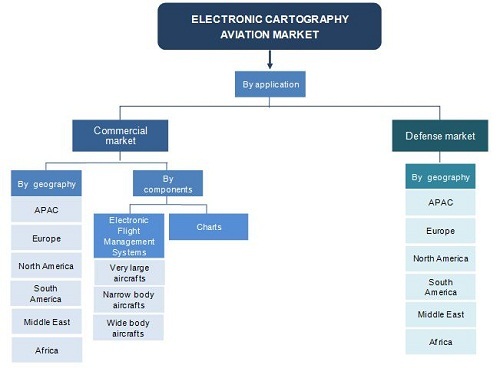 The electronic cartography aviation market is segmented on the basis of application, component, and geography. The Electronic Cartography Market Is Estimated At $19,542.68 Million In 2014 And Is Expected To Register A CAGR Of 1.46% To Reach $21,560.43 Million By 2020. The electronic cartography market refers to the electronic navigation systems market and the electronic navigation charts market. The electronic marine navigation systems market mainly focuses on Electronic Chart Display and Information Systems (ECDIS), which come under the regulation of IMO (International Maritime Organization). This report describes the analysis and forecast of the segmentation of the electronic cartography market. It is segmented on the basis of application, component (systems and charts), and region. The report highlights the factors driving the market, along with the restraints. It addition to this, it contains a brief about the recent technology and industry trends in the market. The technological analysis exemplifies the forecast of the two application areas which are the commercial and defense market. Adjacent to this, the geographical analysis embodies the electronic cartographic market forecast of major regions which include Asia, Europe, North America, the Middle East, South America, and Africa. North America and Europe are currently dominating the market; but, the market for Asia and the Middle East is expected to show inflation by 2020. The report offers the leading players in the electronic cartography market, a general overview of the companies, and also their financial position, key products, and market sizes. The key players in this market include Jeppesen (U.S.), Northrop Grumman (U.S.), Transas (Russia), Furuno (Japan), and Rockwell Collins (U.S.). The electronic cartographic marine market is driven by the need to protect life at sea and to reduce the risk of accidents at sea. The IMO, IHO (International Hydrographic Organization) and the regional hydrographic offices play a major role in this industry. The electronic cartographic aviation market is driven by the need to increase operational efficiency through navigation and instant access to the aviation navigational database.